The future of work, cyber security and widening geopolitical divisions will be at the heart of many conversations at the 2019 World Economic Forum in Davos, Switzerland. This will be my fourth trip to Davos, and each time I’m in awe of how this remote ski resort in the Alps becomes a busy global crossroads where some of the best minds in the world wrestle with the most urgent business and social issues of our time. I believe that the business community has an important role to play as society grapples with the challenges and opportunities in a world being reshaped by advancing technologies. As disruptive as emerging technologies have become, I’m optimistic that, if properly managed, they can ultimately benefit society and open the door to amazing new opportunities. In fact, according to KPMG’s Global CEO Outlook, 62 percent of CEOs reported that artificial intelligence will create more jobs than it eliminates. Many of my fellow CEOs are now preparing for a smarter future by upskilling their people and using technology to allow them to be more productive, creative, collaborative and happier. We’re all on an uncharted journey, but among the first steps that any forward-thinking organization must consider is establishing and nurturing a learning culture. That means creating the expectation that professionals will be trained and retrained throughout their careers. It’s also important for organizations to build centers of excellence where key stakeholders across the enterprise determine how to prioritize, scale and govern emerging technologies. The result should be a coherent blueprint showing how human and digital labor will be integrated in a way that improves the bottom line financially, while providing ongoing opportunities for professional growth. Digital innovation and transformation can create significant value, while improving the customer experience and streamlining operations. At the same time, as organizations become more reliant on technology, they become more vulnerable to attacks. About half of all CEOs (49 percent) worry that becoming the victim of a cyber attack is a matter of “when,” not “if,” according to KPMG’s Global CEO Outlook. And only half (51 percent) believe they are well prepared to respond when an attack occurs. New technologies and tools, such as artificial intelligence, are constantly being developed and improved, enhancing the capabilities of both security professionals and attackers. It is critical for companies to remain up-to-speed on emerging threats and the available solutions. 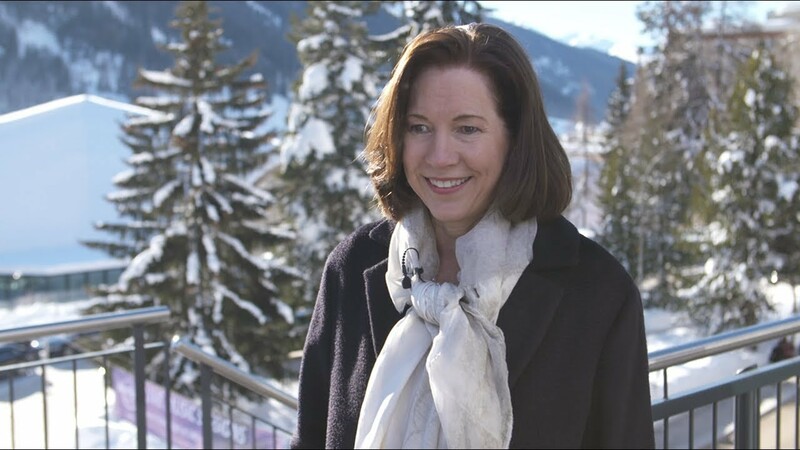 I’m looking forward to gaining fresh insights in Davos to share with our cyber teams, which continue to discuss and collaborate with groups such as the International Monetary Fund, World Bank, Singapore Cybersecurity Authority and other industry organizations across the globe. After a period of international consensus on globalization, we are now seeing a rise in economic nationalism and uncertainty and upheaval in various trade agreements. In fact, in KPMG’s Global CEO Outlook, CEOs cited a “return to territorialism” as the leading threat to economic growth. As they adapt to an increasingly fractured world, businesses must put geopolitics high on their risk radar and ensure that timely mitigation and response plans are in place. It’s critical that the skills, roles and responsibilities across the organization, along with the technology and supporting data architecture, are continuously fine-tuned accordingly. I’m looking forward to many great conversations in Davos, to the exchange of ideas and to turning what I learn into action with our people and clients.